The conference room offers natural light, air-conditioning/heat pump, fast free WiFi, whiteboard, screen, TV and a DVD player. Hot drinks are provided on arrival along with ice water and mints. Free on-site car parking is available for attendees so no one has to park on Fitzherbert Avenue. 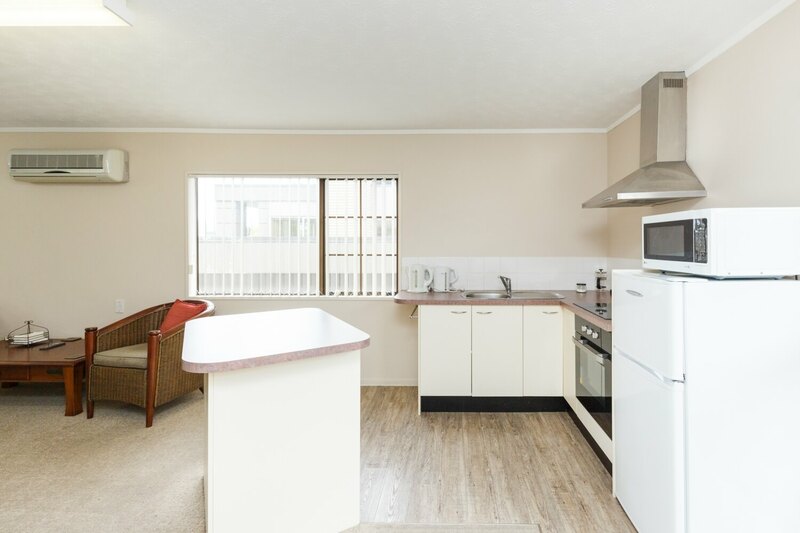 Accommodation is available in our studios and luxury apartments. On arrangement we provide in-house catering for morning tea, lunch and afternoon tea. 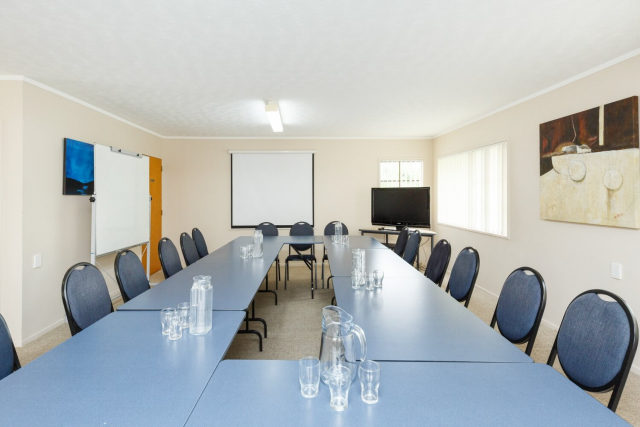 The Comfort Inn Kauri Court conference room is located at 248 Fitzherbert Avenue in Palmerston North. 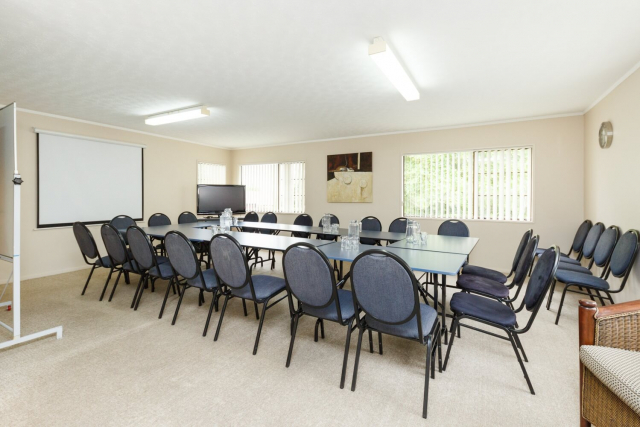 Book your conference regardless of whether or not you're staying at the motel. 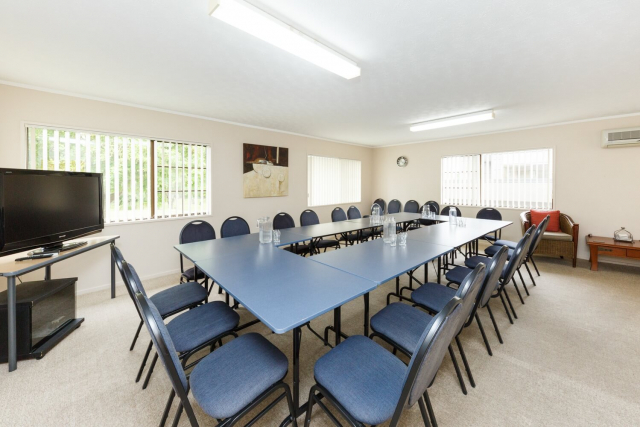 The refurbished conference room can be used for business meetings, interviews, displays, training and sports groups. Set up as a boardroom we can cater for up 18, 16 lecture and 26 theatre-style. 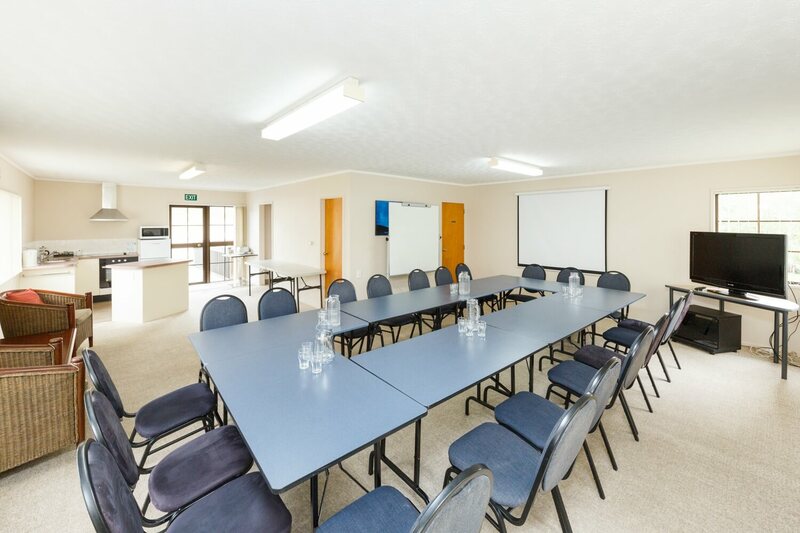 Kauri Court is perfectly set up for sports teams and groups that are visiting Palmerston North and are looking at staying on Fitzherbert Avenue. Groups and teams that are staying at Kauri Court have full free access (on arrangement) of the conference room for team meetings, meals and other activities. 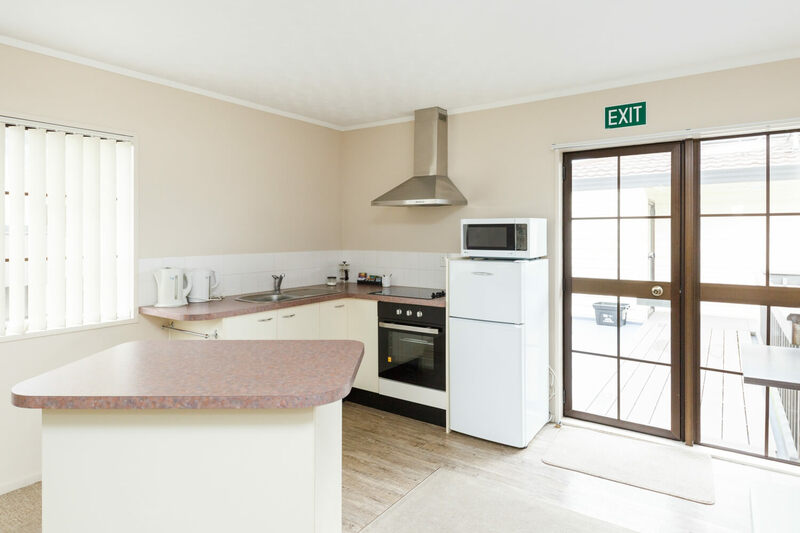 Sports teams and groups will enjoy and make great use of the full kitchen facility and the close proximity to Massey University and other sports and event venues.